I offer a bespoke approach to skincare – one that is perfectly designed to help you get the best out of your skin, which is why you won’t find a treatment menu at Soothe. On your first visit we will sit down together and chat through my specially created in-depth consultation that addresses every issue under the sun (your current skincare regime and how your skin behaves, your diet, overall health, stress levels, the time you spend outdoors – to name just a few! ), I will then create a bespoke programme, which incorporates my scientific, nutritional and holistic philosophy to your skin health. You can expect to go home armed with recommendations and strategies for you to implement at home, empowering you to take care of your skin. Please take a look at ‘Love & Praise’ to find out what my clients think about this. All of my facials are completely bespoke. I decide on the day which products and techniques will suit your skin best. By incorporating the information from your skin consultation, I’ll hand-pick the products to use on your skin, and the technologies to enhance the results and experience. My products are exclusive, I have no sales targets to meet and therefore you will never experience a sales pitch. Skin is amazing stuff and it deserves to be loved and nurtured. Our skin is a fantastic barometer of what is going on in the body. If you have any skin issues, whether it’s a rash, dry or itchy patches, spots, or acne, it’s more often than not a warning sign that there’s an imbalance somewhere deeper within. My philosophy hinges on recognising what is happening on the inside, on both a physical and emotional front, and taking a holistic, natural approach to getting your skin looking better than ever. 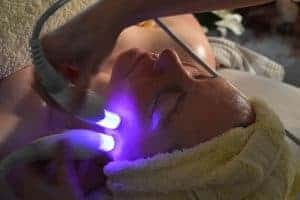 There is no ‘one-size-cures-all’ treatment, which is why I have developed my Specialist Facials – no two facials are the same; each treatment is unique to you and your skin’s specific needs. It really is worth getting to know your skin both inside and out. I am here to help you start on that journey of discovery.